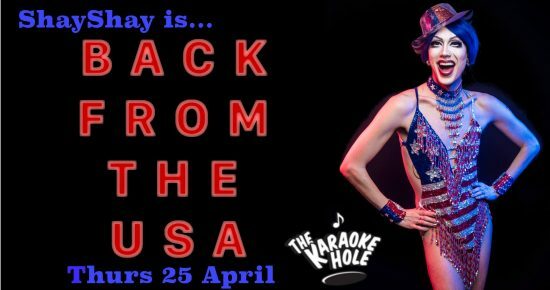 Join East London’s finest drag stars on stage for a night of karaoke belters and kitsch-as-hell cocktail fun at Dalston Superstore’s cheeky little sister, The Karaoke Hole! We’re open every Thursday, Friday & Saturday night from 7pm for walk-ins and table bookings in our early evening session, or head down later for a chaotic karaoke free-for-all until 3am. The Karaoke Hole is an LGBTQ+ powered space, henny! Got Questions? Check our FAQ. We’ve handpicked some of London’s maddest drag creatures to host your special night of karaoke chaos! They’ll be on rotation throughout the month, each serving up their own special brand of nonsense. Get to know our hosts a little better and be sure not to miss your favourites!